Editor's Note: This story is part of an ongoing series about student excellence at the university. 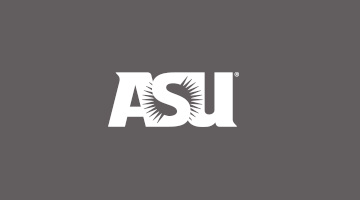 To read more about some of ASU's outstanding students, click here. As an Arizona State University sophomore, Frank Smith is already making an impact on the university and broader community. He is student body president for the Downtown Phoenix campus, was instrumental in passing a senate bill and has found his passion pursuing a degree in public service and public policy with a concentration in business. But just a few years ago, things looked very different. “The statistics say that I shouldn’t even be here right now,” says Smith. “I was born premature, with a mother on drugs, never stayed in the same household for more than a few months since fourth grade and got tangled up in the foster care system. “I never really had the perfect family. I never met my biological father. My mom was always out on the street involved in prostitution. It was basically my sister and me. Eventually we got tangled up in the foster care system. It wasn’t easy,” Smith recalls. Conditions in the home were not good. Showers and clean clothes were limited. The family lived primarily off of money the children brought home and money from the state. When one boy in the house punched Smith in the face, he decided that he had had enough physical and mental abuse; he called the police. Smith was then taken in by a distant relative. “This man, I call him my brother. He didn’t know who I was as a person. For all he knew, I was this troubled kid on drugs. But he took that risk and let me around his family and I am really grateful," he said. When he was in the foster system, Smith's family would insult him for taking AP and honors classes, and wouldn’t allow him to stay after school to pursue scholarship opportunities. But in his new home, things were different. “Because I had that stable environment, I was able to be a kid for the first time. I went to my first basketball game, my first football game. I was actually encouraged to stay after school for activities and apply for scholarships,” he says. Smith came to ASU as an Armstrong Scholar, an Obama Scholar and a Nina Mason Pulliam Scholar – a university-wide scholarship program supported by the College of Public Programs. When he first got to college, Smith didn’t really know what he wanted to do. At first, he thought he wanted to be a journalist. “But I saw that as a journalist, I could only write about things. I couldn’t act on them,” he said. It was that action that changed his mind. Smith played an instrumental part in helping to pass Arizona Senate Bill 1208, which is a pilot program for former foster youth to attend any college or university of their choice in the state. He testified in front of the Arizona House of Representatives, then later the Senate. Smith is part of the Jim Casey Youth Opportunities Initiative, which aims to improve the foster care system, is a Young Fellow, which are future leaders that help provide input and shape policy strategy and goals, and he recently spoke to the National Governors Association on the importance of social capital in the foster care system. “Everyone needs social capital, not just foster youth. But it is particularly important for foster youth because they don’t have that support system of a family. They are transitioning homes, so they don’t form bonds with peers, coaches and teachers,” he explains. Closer to home, Smith has been active in affecting change on the downtown Phoenix campus. He helped open Cronkite facilities to enable 24/7 study areas for students, improved the funding process for student government, increased participation by 50 percent, implemented an internship program and increased transparency by streaming meetings live. Smith has even allocated money for a bike coop downtown so that students can easily access free bike repair. “I’m focused. You only have one term. I just ran with the position,” he says. As a freshman, he went to ASU Career Services for help with his resume. That led to getting involved in student government. Now, Smith hopes to get an internship when he is eligible, and is already going to job fairs to prepare. Through the Armstrong scholarship, he also plans to study abroad in China.